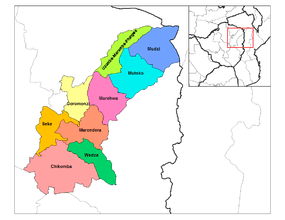 Mashonaland East is a province of Zimbabwe. It has an area of 32,230 km² and a population of approximately 1.35 million (2012). Marondera is the capital of the province.